Nokia reported its first quarter 2012 earnings on Thursday in which the company said its net sales fell EUR 3 billion from the year-ago quarter to EUR 7.4 billion. The Finnish phone maker also said that its mobile sales dropped 24% from the same quarter last year to 82.7 million units. Its smartphone unit sales fared even worse: sales fell 51% to just 11.9 million units sold during the quarter, despite the introduction of its Lumia handsets. Nokia recently said it has sold 2 million Lumia-branded devices. "We are navigating through a significant company transition in an industry environment that continues to evolve and shift quickly," Nokia CEO Stephen Elop said. "Over the last year we have made progress on our new strategy, but we have faced greater than expected competitive challenges. We have launched four Lumia devices ahead of schedule to encouraging awards and popular acclaim. The actual sales results have been mixed. We exceeded expectations in markets including the United States, but establishing momentum in certain markets including the UK has been more challenging." 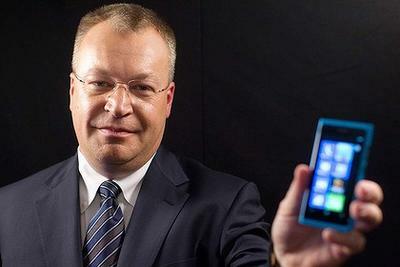 Elop said Nokia will take "deliberate measures" to renew its Series 40 platform to strengthen its offering during the second quarter of this year. Nokia did not reveal any official sales numbers for its Lumia 900 flagship device.